Recently, my erasers started running out of eraser juice, and I started having trouble with them. So I went to the art supply store looking for a replacement. I found almost my exact eraser, and one that was a bit cheaper, so I decided to try the cheaper one, the Prismacolor Kneaded Rubber eraser, out. 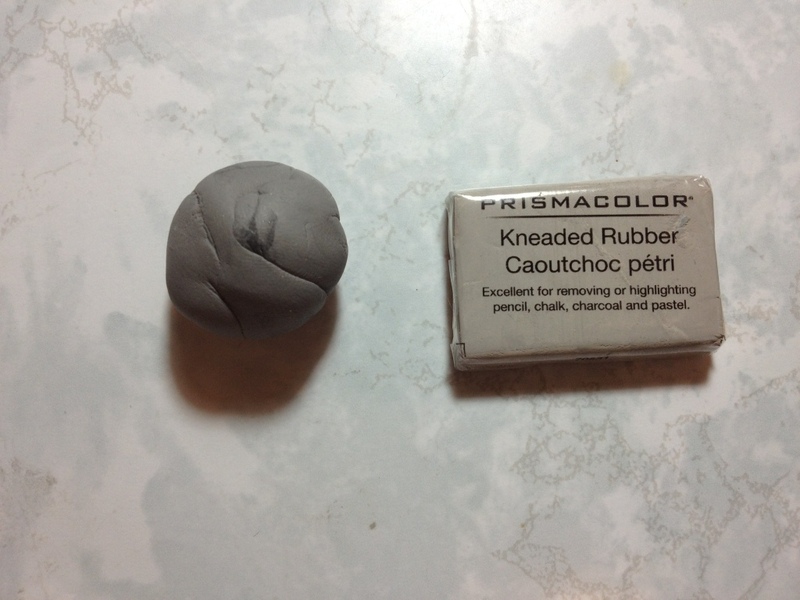 Kneaded rubber erasers are cool. They can stretch and bend to get into small, difficult spots as well as wider spots. They can “clean” themselves, and generally don’t leave any eraser shavings. And while this is a good eraser, it isn’t as good as the ones I have used previously. It just doesn’t erase quite as well. Pencil is harder to remove, and stays bolder in indented lines. The eraser also rubs off quite a bit. There are still fewer shavings than one would get with a solid eraser, but more shavings than one should get with a rubber one. So, if you’re just looking for an eraser that is better than standard or even high-quality solid erasers, I would recommend this one. It’s definitely good and gets the job done. But it certainly isn’t the best rubber eraser out there. This entry was posted in Advanced Supplies, Consumables and tagged art supply, eraser, kneaded rubber, kneaded rubber eraser, prismacolor, prismacolor eraser, review by Dragon Co (Austin Smith). Bookmark the permalink.